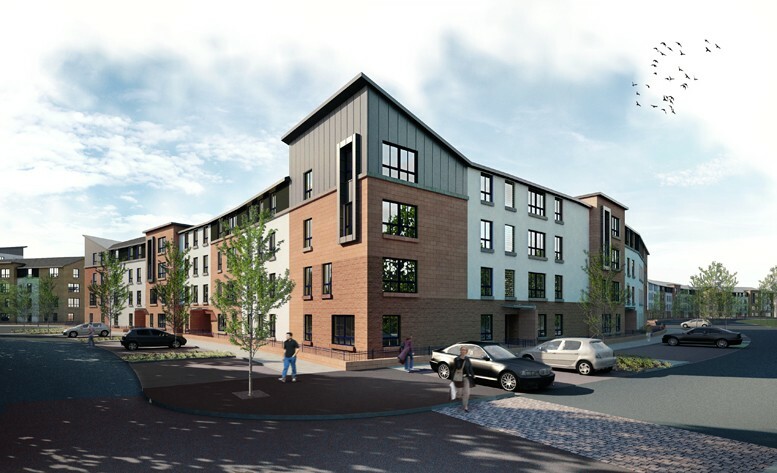 Bett Homes have received planning permission for the latest phase of their Oatlands regeneration, a mixture of 378 properties designed by Holmes Miller. Faced in red stone and render the scheme is intended to fit in with earlier phases and will incorporate the principles of Designing Streets with on street planting. Conceived as a series of four storey perimeter blocks, sheltering an inner sanctum of two storey houses for private sale, the scheme is designed to form a gateway feature to Richmond Park, which will itself be upgraded. 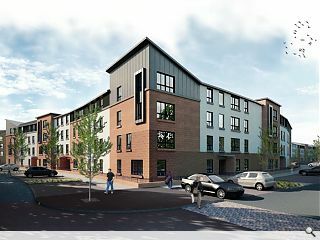 Situated between Fauldhouse Way and Kilbride Terrace it follows the earlier delivery of 32 homes at Elmfoot Grove.